Welcome to deZeption’s official website. Here you will be able to follow deZeption’s journey into the future and see, hear and read about our music and life’s. From the past, present….. and what the future brings…….. So look around and enjoy the trip. Remember to subscribe our news letter and get the latest news from the deZeption headquaters ! Welcome to deZeption’s news board. Here we will update you with news regarding new releases, gigs, events and much more. Electronic pop music for your mind and feet is an expression of what we wish to achieve with our music: to affect your brain and feet – to describe the duality of life and the world around us. 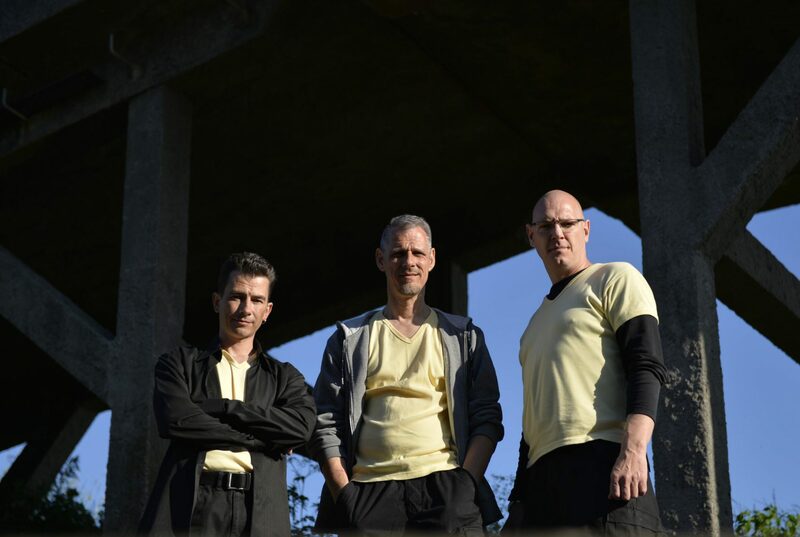 It is hard against soft, dark against light: The contradictions of life…..
deZeption was formed in May 2003 by Claus Lindskov Hansen and Jan Brink . The collaboration and creativity actually turned out to give a better result than expected: Synergy. The desire to express the music, led to the desire to play live. In May 2005, Kim B. Sommer was hired as a live keyboard player and, as it turned out, the chemistry was so good that Kim subsequently was invited as a permanent member of the band. The idea has always been to create something durable – music that can affect people. And after receiving a lot of positive feedback about our music and liveshows, it motivated us to strive for more. The first milestone was reached with the release of our debut album ‘Human Eyes’ in 2008. In order to create as much artistic freedom, we chose to release the album on our own label deZeptivemusic. Claus Lindskov Hansen chose to leave deZeption, in August 2011. In July 2012, we welcomed Henning Wibrand as our new lead singer. His arrival, has taken our music and lyrics to a new level. On stage, our visual concept is simple, strong and unique. Our music and image appeals to a wide audience and therefore, we have the joy of having fans from all around the world – represented by both the younger and the older generation from genres like pop, rock, dance and more. Who are the 3 members of deZeption? Read about the background of Henning, Jan or Kim…..
You are always welcome to contact us, if you have any questions, inquieries or just would like to book us for a gig.